Thanks to the David Lynch Foundation, Anahuacalmecac has been awarded a grant to continue the expansion of the TM Program for all of our 6th through 12th grade students. The grant has covered scholarships for stress reduction instruction as well as professional training in Transcendental Meditation. The support for the TM Program at Semillas has also supported a cultural guide from our own community to enhance the program and ensure respect for the spiritual and cultural integrity of the school community. Seventh Generation Fund is an Indigenous non-profit organization dedicated to promoting and maintaining the uniqueness of Native peoples and the sovereignty of our distinct Nations. We offer an integrated program of advocacy, small grants, training and technical assistance, media experience and fiscal management, lending our support and extensive expertise to Indigenous grassroots communities. Learn about us, the programs and services we provide, our grantmaking guidelines and giving philosophies, upcoming events, online publications and so much more! The Seventh Generation Fund for Indian Development, the only foundation in North America run entirely by Indigenous Peoples, recognized Semillas Community Schools’ work in education for Indigenous children with the Firekeeper’s Award. 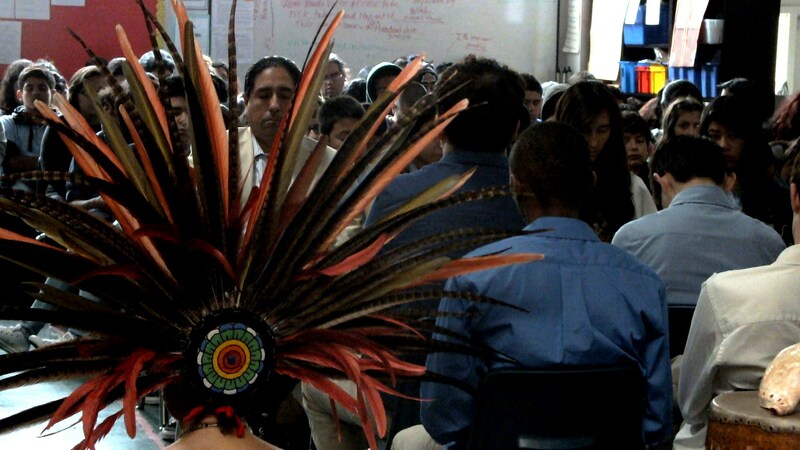 Semillas stood out among other indigenous leaders and organization also recognized, as the only educational or child-focused organization advancing access to the regeneration of a self-affirming design of schooling in the modern international context. The Asia Society Confucius Classrooms Network of exemplary Chinese language and culture programs in the United States currently comprises more than 35,000 students studying Chinese in more than 100 elementary, middle, and high schools in 27 states and the District of Columbia. These schools all have a strong commitment to making their Chinese program a core part of a larger mission to help students become globally competent. The network asks each of its schools to implement an innovative project aimed at enhancing or expanding its Chinese language program, and to develop an ongoing and sustainable partnership with a school in China. Semillas was awarded recognition as an Asia Society Confucius Classroom school by the government of China. The award was granted along with several thousands of dollars worth of technology to promote student and teacher communication and exchanges between our schools and sister school programs in Wudang - Lau Ying (Old Eagle) China. As a part of this exchange Wudang Daoist Gong Fu Master Bing leads regular seminars on traditional Daoist martial arts, philosophy and culture with students and teachers at Semillas.